Singapore – August 2018 – FintruX Network, the global P2P lending ecosystem, is announcing a new addition to its Board of Directors, Bob Rinaldi, a serial entrepreneur, and business director. FintruX Network is an online ecosystem that facilitates the lending and borrowing of finances to small businesses in a peer-to-peer marketplace powered by blockchain and no-code development. FintruX Network makes it easy for small businesses to quickly secure affordable loans with no collateral, at affordable interest rates, and in any currency. The platform is powered by blockchain and built using no-code development, which enables all possible contract combinations to be generated and deployed in real-time without human error. FintruX Network facilitates lending in a peer-to-peer network by using credit enhancement that improves creditworthiness, reassuring the lender that the borrower will honor the obligation via smart contract. Credit enhancements reduce the risk of loss, thereby increasing the overall credit rating and lowering interest rates at the same time. 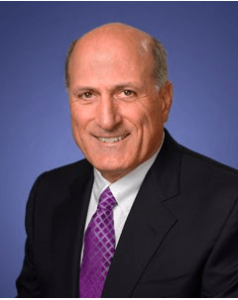 Bob Rinaldi is a seasoned entrepreneur with a strong business acumen and has led several organizations to success under his guidance prior to joining FintruX Network. He served as the CEO of CI Finance, a national equipment finance company, and as a Director at CBank, a commercial banking community bank. Most notably, he held positions as the Senior VP of CSI Leasing, and the President of National City Commercial Capital Canada. As the Executive VP at Information Leasing Corp, Rinaldi played a key role in growing ILC to the fifth-largest, bank-owned leasing company in the U.S. with annual originations of over $3 billion and $8 billion in assets. Rinaldi is a Past-Chairman and Director of the Equipment Leasing and Finance Association (ELFA), the premier trade association representing the $1 trillion equipment finance sector.